Tulipop is the stuff of which dreams are made. 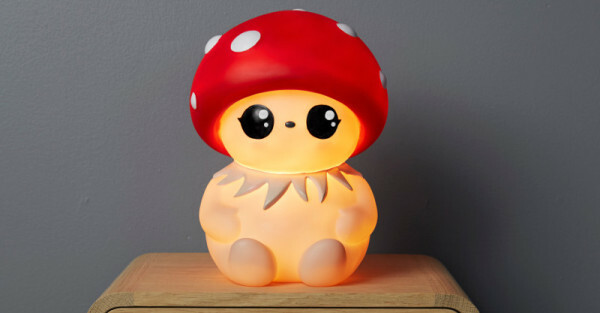 Cute and curious creatures inhabiting a magical world inspire gorgeous lamps, wall art, and objects both decorative and functional. Your kids will fall in love with this beautiful range. Tulipop creates an enchanting world with gorgeous characters such as Bubble, a daydreaming mushroom boy and Gloomy, an adventurous mushroom girl, or my favourite, Woody who is a kind-hearted tree. Through these characters the colourful designs of Tulipop come to life. How adorable is this Bubble lamp? It has a warm soft glow that works beautifully as a nightlight or just to add some peaceful ambiance to the nursery. 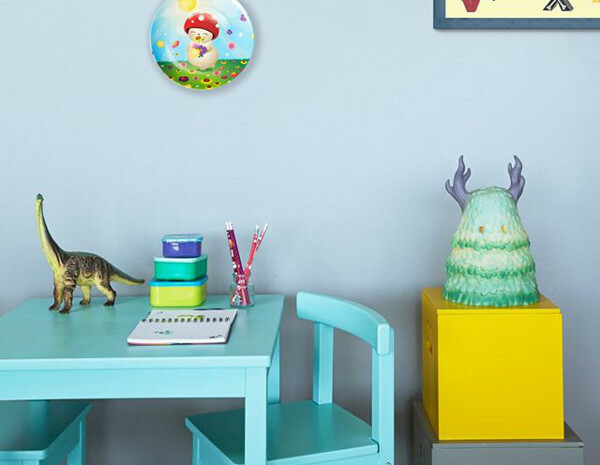 Match this with Tulipop alphabet posters or decorate the walls with pictured plates to create a different look with a cheeky, colourful twist. The Tulipop range extends beyond furnishings to more functional objects like tableware and stationery, and the characters of Tulipop do not only live on these objects. Kids can continue their connection to the characters online by exploring the Tulipop world. Tulipop products are made in Iceland and deliver worldwide. Shipping to Australia will cost an extra £15 with a delivery period of 5-10 days.